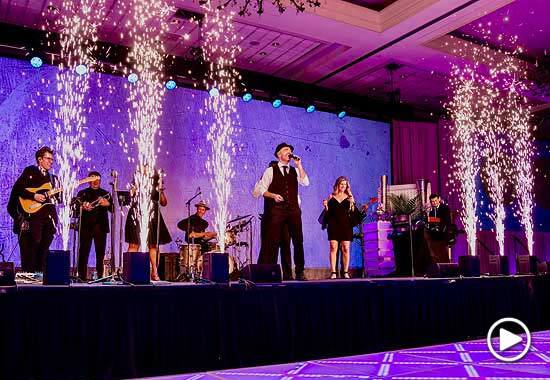 Pop of Purple was the design element to make this awards night a winner. 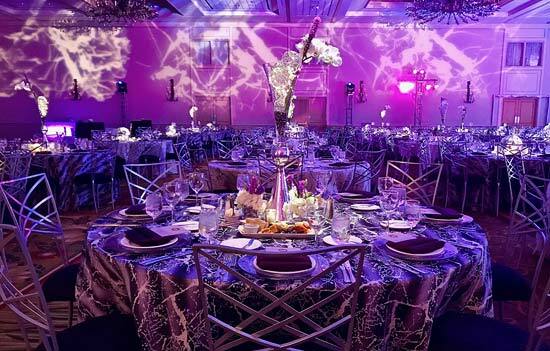 Purple Reign was entirely inspired by our client’s desire to have a knock-out awards gala with just a pop of color. To do that, rather than sending our client an digital mood board, we took it a step further and brought her to our warehouse to experience our vision in person. 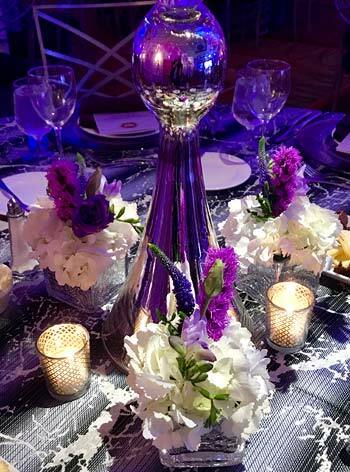 Our client carefully considered each flower, chair cushion, napkin, down to the votive holder. 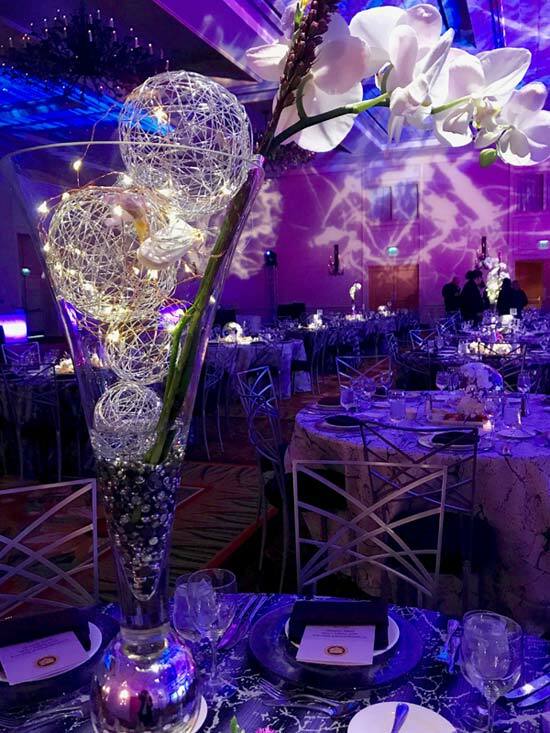 We were challenged to top the previous year’s décor and the colors of the existing space. 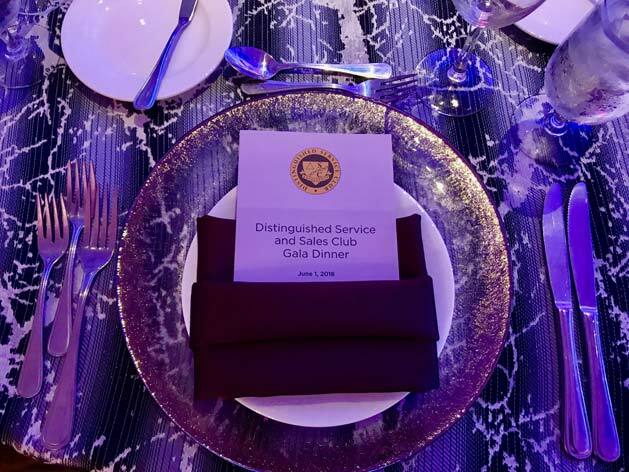 For this particular event, we used our alabaster linen on the tables and our client loved it so much that we ended up turning the pattern into a gobo projected on the walls! 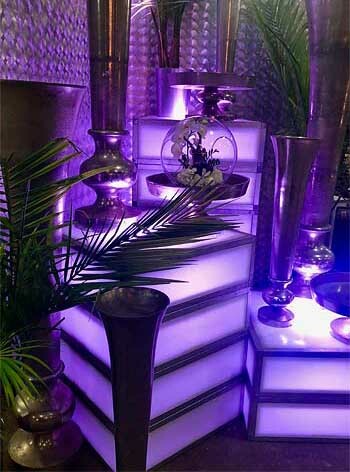 Standing in the room, looking at the end result, the room radiated purple, our LED dancefloor created dimension with light and a mix of metal, greenery and candlelight felt as though we took that linen and brought it to life. 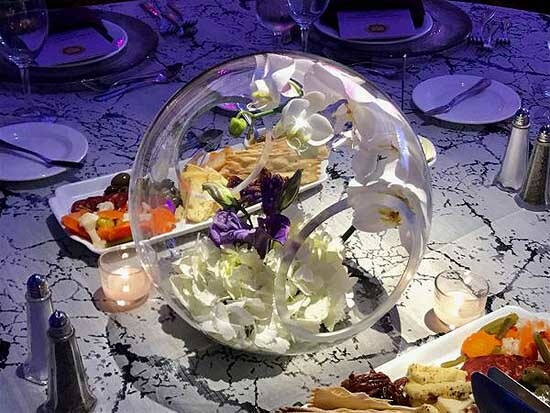 Each table was finished off with gorgeous centerpieces that included that pop of purple floral and lush orchids. 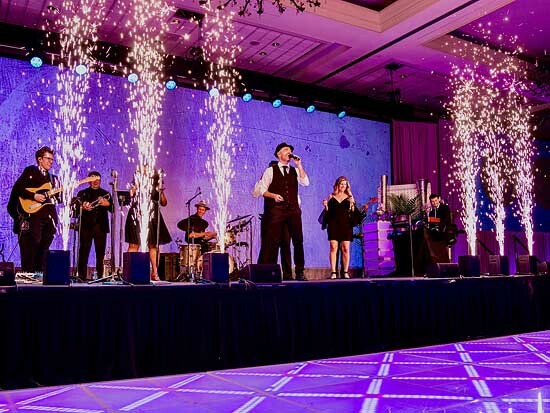 A grand gala deserves a little pomp and circumstance and we finished out the night with a rockin’ band and an indoor fireworks display.